By Mo Stewart: Independent Disability Studies Researcher: October 2018 is the tenth anniversary of the adoption of the Work Capability Assessment (WCA) by the Department for Work and Pensions (DWP), as used by successive UK governments to restrict access to the long-term sickness and disability benefit known as the Employment and Support Allowance (ESA). Introduced by the New Labour government, little did anyone realise that the adoption of the ESA in October 2008 would generate death, despair and preventable harm to so many of the nation’s most vulnerable claimants resulting from the use of the fatally flawed WCA. The most radical reform in British social security policies since the 1942 Beveridge Report was promoted by the DWP as offering opportunity and releasing the potential of chronically sick and disabled people. The reforms have been described ever since by politicians as “supporting” those in receipt of long-term sickness and disability benefits to return to work; regardless of clinical diagnosis or prognosis which is completely disregarded by the WCA, rendering the assessment both meaningless and dangerous. The dismantling of the UK welfare state was first suggested by Margaret Thatcher in 1982, and the legacy of Margaret Thatcher’s neoliberal policy decisions continues to influence government policy, as the welfare state is systematically demolished by successive UK governments. Identified as a non-medical functional assessment, the Waddell-Aylward biopsychosocial (BPS) assessment model was created at the Centre for Psychosocial and Disability Research (the Centre), at Cardiff University, when sponsored with £1.6million by Unum (Provident) Insurance, who had been official UK government advisers on “welfare claims management” since 1994. Commissioned by the DWP, The Scientific and Conceptual Basis of Incapacity Benefits was rapidly produced at the Centre in 2005, with the recommendation that the medical model should be disregarded when assessing claimants for out-of-work disability benefits. The totally discredited Waddell-Aylward BPS assessment model as used for the WCA disregards the diagnosis, prognosis and past medical history of the ESA claimant. Deaths were always inevitable. Unum (Provident) Insurance were identified in 2008 as the second worst insurance company in America. Yet, as official government advisers since 1994, the company fully expected to gain from the UK welfare reforms, and the planned future significant reduction of the numbers eligible for State funded welfare support for sickness and disability; with the expectation that middle England would begin to purchase private health insurance once it was established that the welfare state was being systematically demolished. The influence of Unum (Provident) Insurance with the UK welfare reforms was demonstrated in the supplementary memorandum(s) provided for the Work and Pensions Select Committee following the publication of the Welfare Reform Green Paper. The memorandum(s) clearly listed the transformation of the former Incapacity Benefit to the new ESA. The requirement to resist diagnosis, revise the ‘sick note’, encourage the government to focus on ability and not disability, change the name of Incapacity Benefit, and benefits not to be given on the basis of a certain disability or illness but on capacity assessments have all come to pass when influenced by Unum (Provident) Insurance. 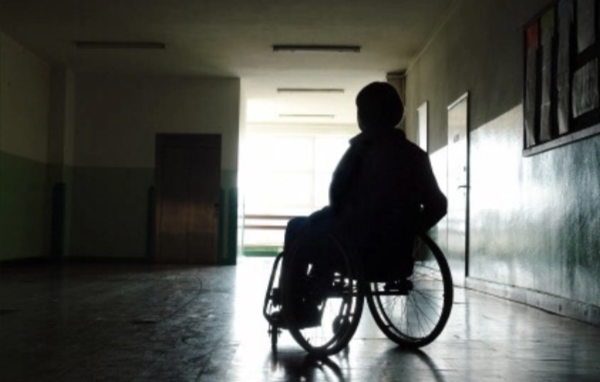 Sadly, the DWP’s extreme right-wing social security policies for long-term sick and disabled claimants means the DWP disregard the additional costs of being disabled, and any human consequences could be easily disregarded as being acceptable “collateral damage”. These relentless fatally flawed “assessments” using the WCA are often for claimants with a permanent health condition that can’t ever improve, regardless of the ongoing intimidation and coercion by the DWP. The removal of the psychological security of the welfare state was guaranteed to create a disturbing increase in serious mental health problems, which the DWP choose to totally disregard. Guided by corporate America for twenty five years, the UK welfare reforms and austerity measures, as adopted by successive UK governments, were always destined to cause death, despair and preventable harm on route to the demolition of the UK welfare state to eventually be replaced by private healthcare insurance. The question remains as to how many more chronically ill and disabled people will die when, quite literally, killed by the State?